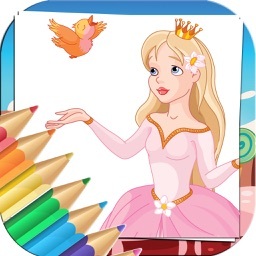 Princess Coloring Book is the cutest game out there for little girls that love princes and princesses and the best part is that the coloring book is free, every child can enjoy this drawing game. 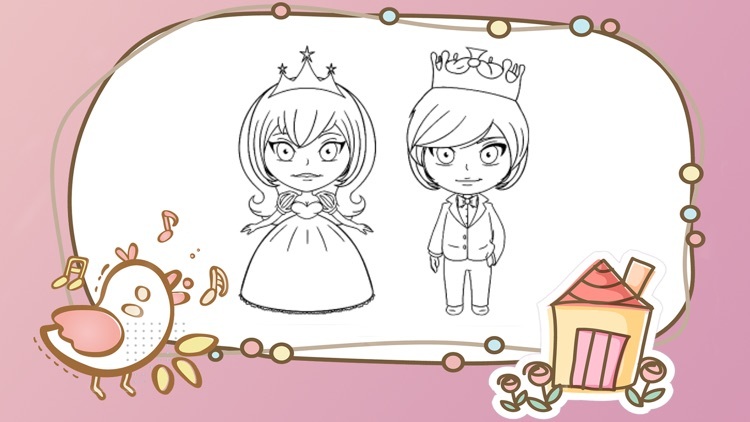 The coloring pages game comes with over 20+ beautiful princesses and the cutest prince in the entire fairy tail games kingdom. 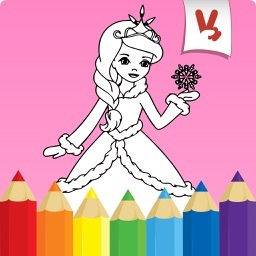 This is one of the coolest and cutest princess coloring games out there. Your girls will learn how to draw which will improve their cognitive functions, Hand And Eye Coordination, Relaxation And Patience, Improve Handwriting, Relaxation And Patience, Focus, Confidence, Knowledge, Motor skills, Stimulates Creativity, Self-Expression and color recognition. 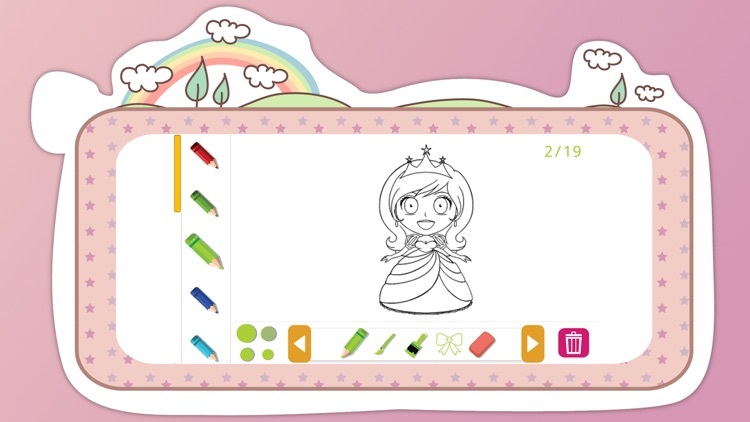 Little girls adore drawing princesses, it will greatly improve their imagination if they have a mockup to draw on. 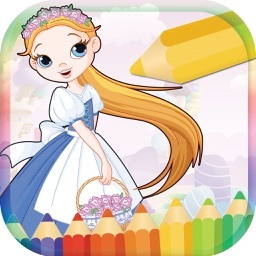 Most kids and toddlers love to draw beautiful characters like Snow White, Cinderella, Pocahontas, Barbie, Jasmine, Luna Ariel. Because most girls love to color their dress and to get ready for ball, it is the perfect game for girls. You also get a free drawing space where your kids can break loose their imagination and draw unique cartoons and characters that they love. Choose from a large collection of coloring pages which will not disappoint your little toddler. 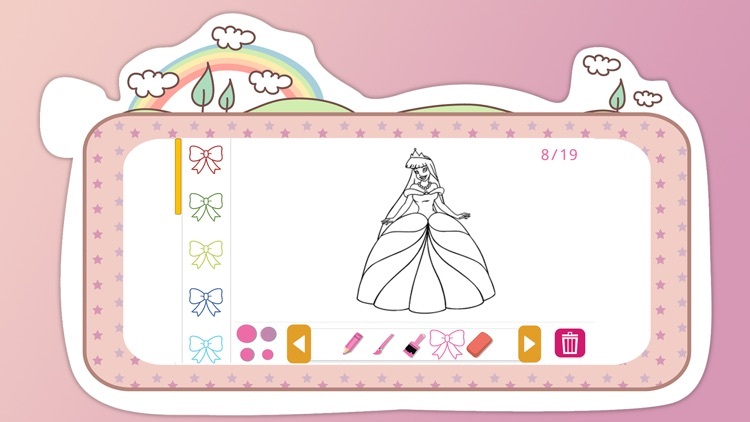 Your kids can choose from over 20+ characters to draw. Your toddler, teenager or little pumpkin will adore this game and will keep him busy for hours. 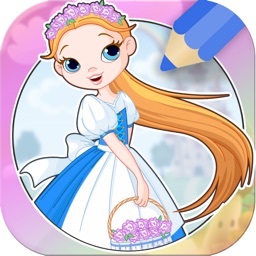 It is dedicated to kids that love fairytales and queens and the app will let them easily decorate the characters. 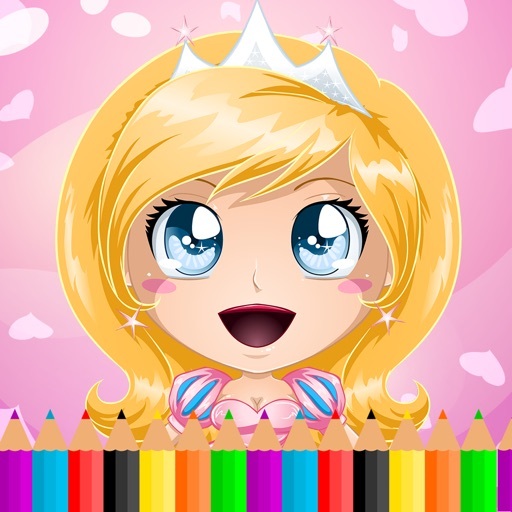 If you see that your child is very talented at drawing, this one will help him improve his drawing skills and create some very interesting princess designs. 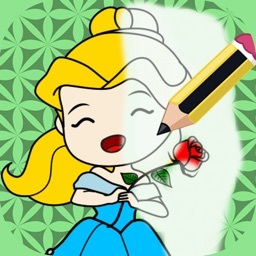 - Create unique drawing and paintings. - Tons of colors to pick from. - Over 20+ adorable cartoon drawings.